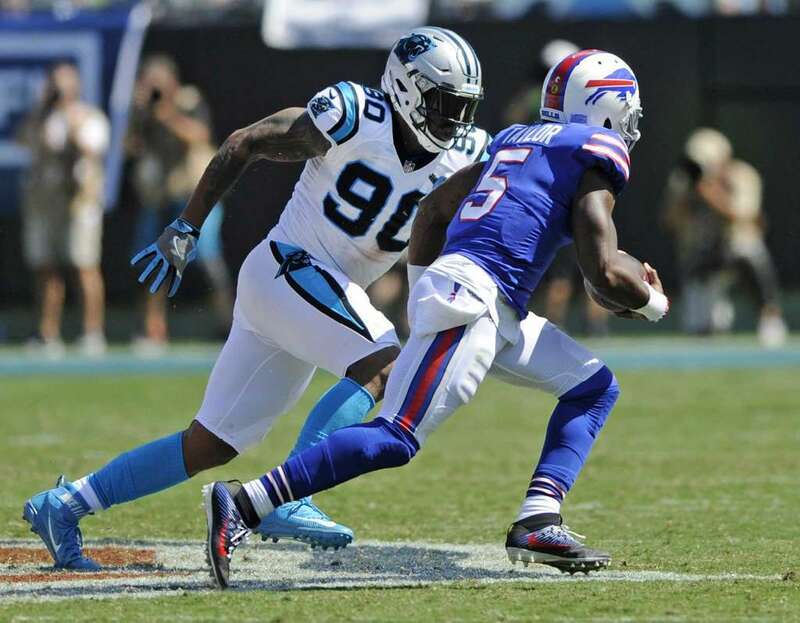 CHARLOTTE, N.C. — Carolina Panthers defensive end Julius Peppers, fourth on the NFL’s career sacks list, on Friday announced his retirement after 17 seasons. Peppers, 39, is projected by many to be a first-ballot Hall of Fame selection when he becomes eligible for enshrinement in Canton, Ohio, in five years. His total of 159.5 career sacks trails only Kevin Greene (160), Reggie White (198) and Bruce Smith (200). The next-closest active player is Baltimore Ravens linebacker Terrell Suggs, with 132.5. “No doubt a first-ballot Hall of Fame inductee,” former teammate Kevin Donnalley, a guard with the Panthers early in Peppers’ career and a member of the team broadcast crew the past few seasons, told ESPN. “Just the one stat alone, fourth in all-time sacks, makes him that.